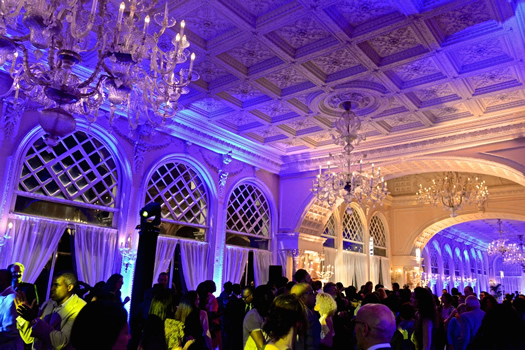 MF Productions has arranged several events in conjunction with the press preview of the Venice Biennale. 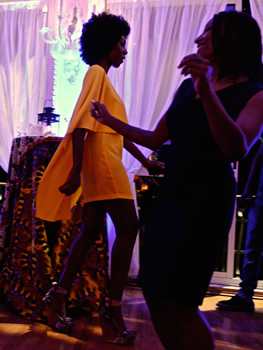 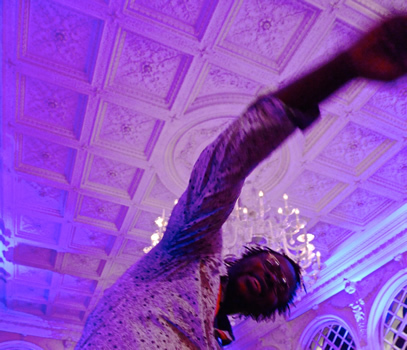 In 2015, MF Productions worked with the Ford Foundation and Okwui Enwezor, Artistic Director of the 56th La Biennale di Venezia, to produce a reception honoring and celebrating African artists and those contributing to the All the World’s Futures exhibition. 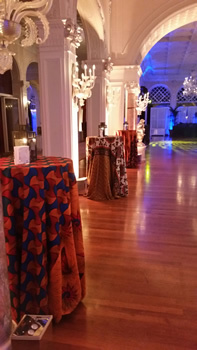 The event featured cocktails, light hors d’oeuvres and music by Peter Adjaye aka AJ Kwame (Music for Architecture, AFFRI-KOKOA) at the Hotel Excelsior. 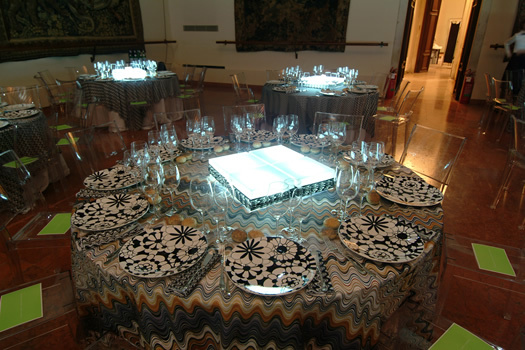 In 2013, MF Productions produced a private dinner for Massimiliano Gioni, Artistic Director of the 55th Venice Biennale and Associate Director and Director of Exhibitions at the New Museum. 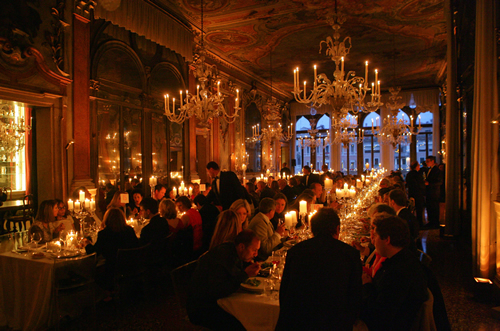 The dinner took place at Palazzo Pisani Moretta and featured a cocktail reception followed by a seated dinner of an authentic Venetian meal. 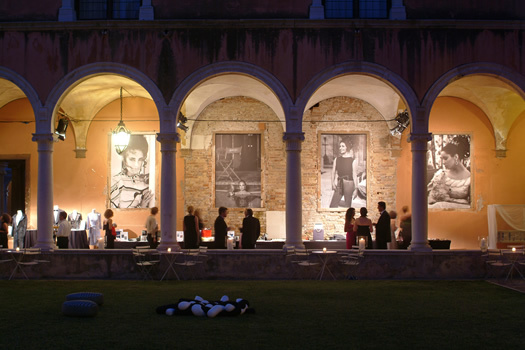 In June of 2003 MF Productions worked with the Greek Pavilion organizing a brunch at the Giardini Castello for the fiftieth biennale. 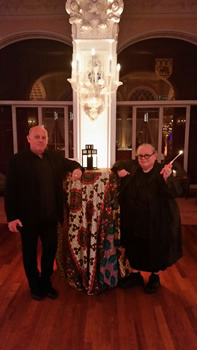 The inauguration and press conference given by the Hellenic Ministry of Culture and Marina Fokidis, the commissioner of the Greek Pavilion, honored of artist Athanasia Kyriakakos and architect Dimitris Rotsios. 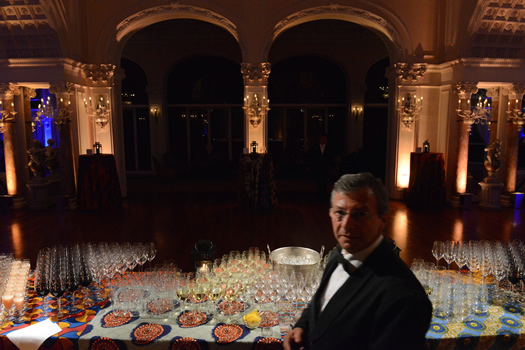 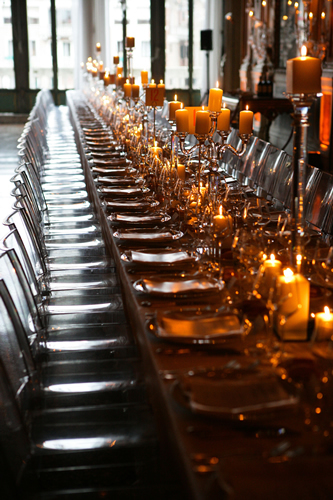 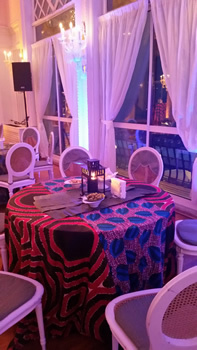 At the well- attended event guests dined on traditional Greek fare and enjoyed the spectacular surroundings. 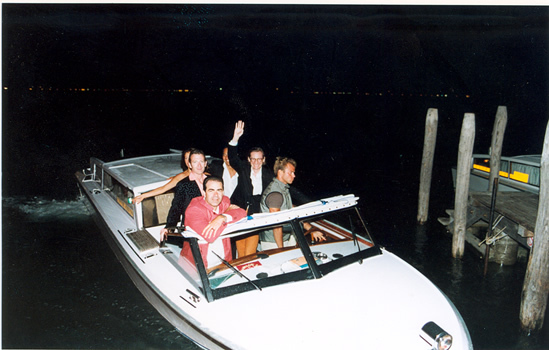 In 2001, MF Productions undertook the complicated task of transporting 1,200 guests from the Piazza San Marco to the Lazzaretto Nuovo, an outer island in the Venetian Lagoon. 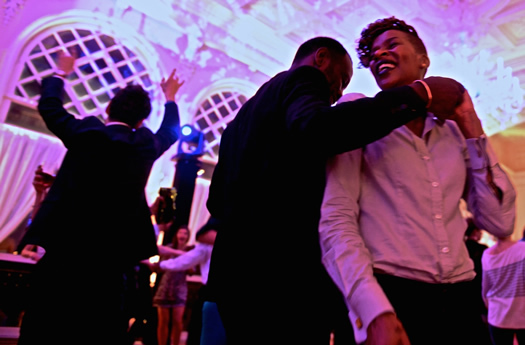 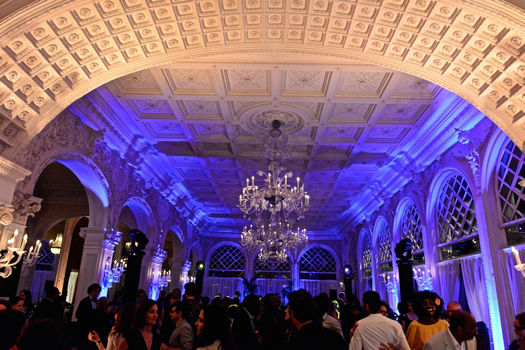 The lavish party, in celebration of Mark Wallinger's installation for the British Pavilion, was co-sponsored by Bloomberg and the British Counsel. 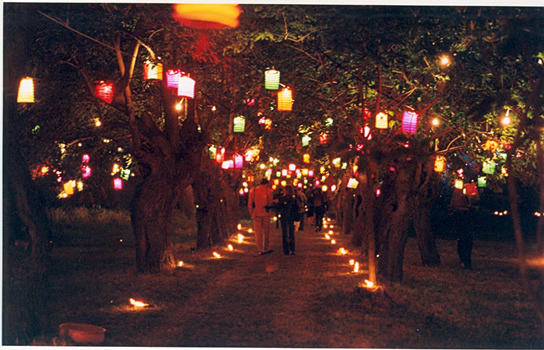 The island, an archeological preserve, was magically transformed into a Venetian fantasy illuminated by thousands of colored lanterns and custom-made candles. 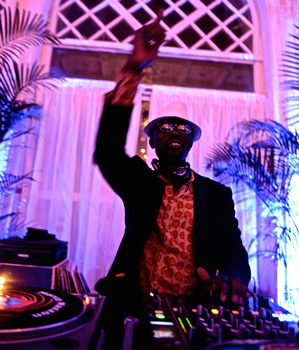 Geoff Barrow of Portishead and Tom Findlay of Groove Armada provided guests such as Bianca Jagger, Tom Ford and other members of the Art World jet-set with music that made for a truly unforgettable evening. 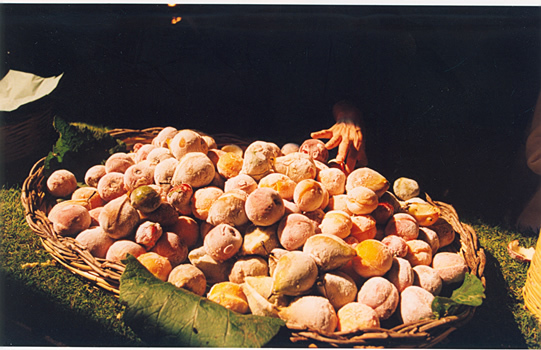 In addition, MF Productions coordinated two events for the United States Pavilion at the 1999 Venice Biennale surrounding exhibiting artist Ann Hamilton's installation of Myein. 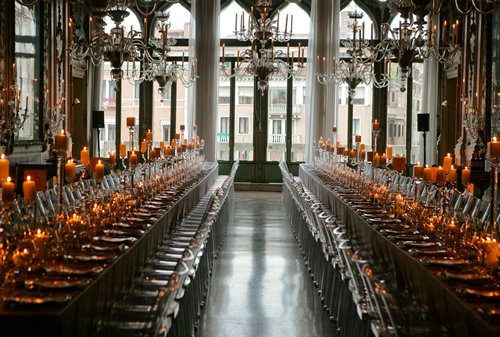 An extensive group of patrons and Art World luminaries were transported to the Venetian Island of Torcello for a dinner at the Locanda Cipriani, sponsored by Gucci. 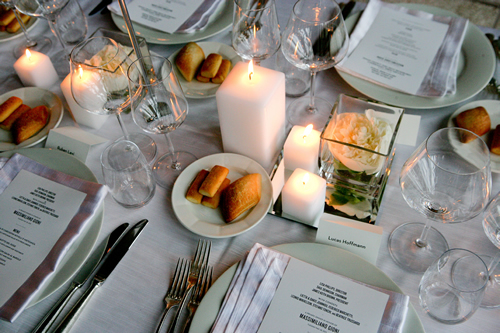 A smaller group was taken on a private tour of Myein (preceding the official opening of the United States Pavilion), followed by a luncheon at the renowned Corte Sconta Restaurant. 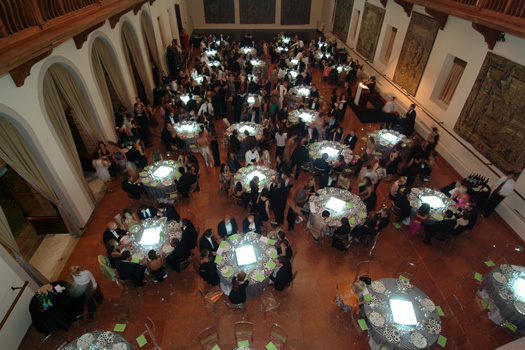 In 1997, MF Productions worked with the Portuguese Pavilion, organizing a seated dinner for 200 guests hosted by the Portuguese Ministry of Culture in honor of the Portuguese artist Juliao Sarmento. 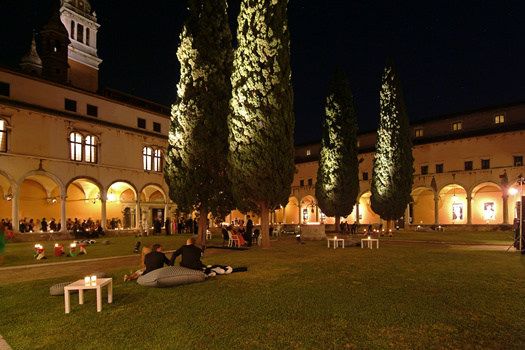 The dinner was followed by a party for 500 people in the garden of the Palazzo Vendramin dei Carmini, which serves as Portugal's pavilion. 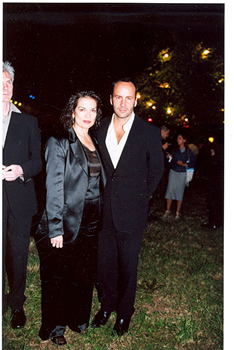 In 1999 once again, MF Productions was retained by the Portuguese Ministry of Culture to produce a similar event to the one in 1997 honoring the photographer Jorge Molder.